You might have noticed I really love a fabulous bag... I have found a website caneandcamilla.com that has these bags and more, for prices you will not believe. I use a clutch in the evenings with every outfit. That is just so stylish. The first bag I got this summer was the Lola Clutch $59. It is a good neutral color so I have worn it on repeat. To tell you the truth I have purchased items around this bag I like it so much. For the fall I am really going to enjoy the Aurora Clutch $39. That is going to be a combo with every black jacket and denim look I own. My absolute favorite bag is the Tulum Tote $119. This will hold everything. I will love traveling with it. It looks so good with my black maxi dress. 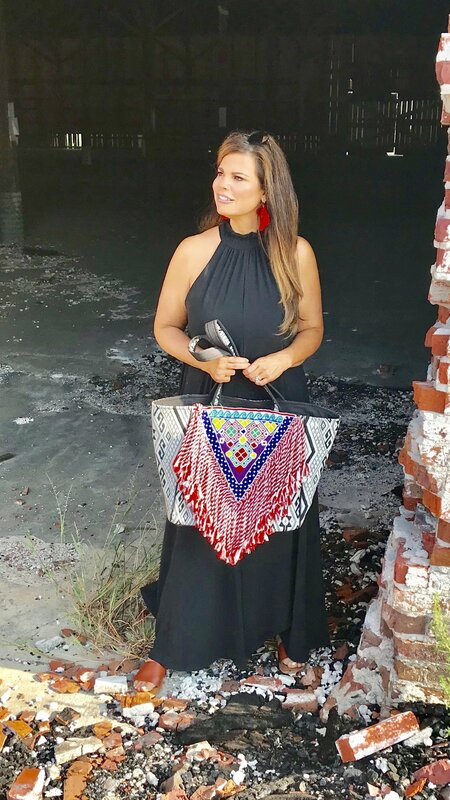 I have also included pictures on the two bags I have my eye on the Marrakesh Clutch and the Maya Bag. You will also want to check out their earrings I am obsessed with them. Now for the BIG news, I have a 25% off discount code for you to update your wardrobe with a few statement bags Shine18.